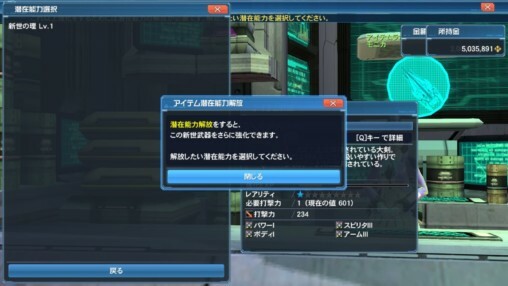 Certain weapons will drop under a new classification system known as “New-Type Weaponry.” These items can be identified by the EXP bar beneath the weapon’s description. 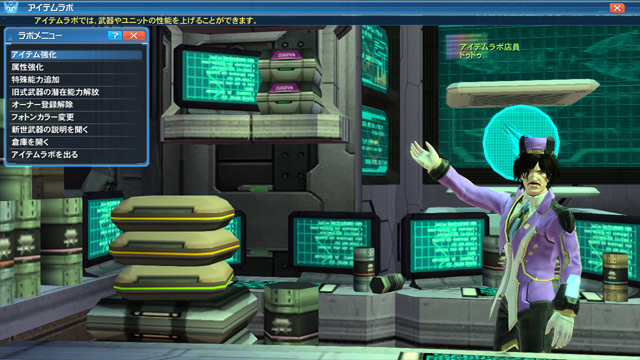 Weapons under this classification will utilize a new grinding system that combines several features in one. 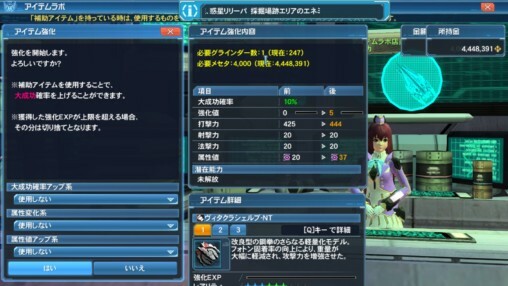 NT weapons can be identified by the EXP bar underneath the weapon’s description. NT weapons will also have a blue outline around the icon. The [Item Grinding] menu in the Item Lab offers NT Weapons a unified location to increase not only their stats and attributes, but also their potential abilities. Each NT Weapon has a [GrindEXP] bar that increases when other weapons are used as fodder for the base weapon. ※Any weapon that is contributed as fodder will be destroyed in the process! Each weapon used as fodder contributes a certain amount of Grind EXP based on the status of the Base Weapon. 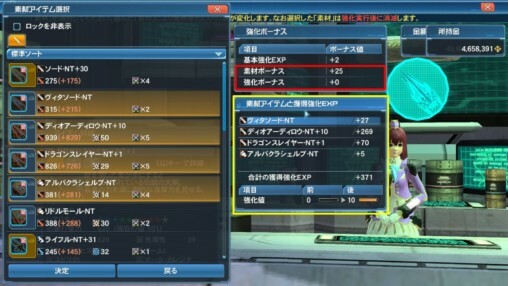 You can earn additional grind EXP for your base weapon, if the fodder weapons meets the following criteria . Grind Bonus NT Classified weapons grinded at +1 or above. The higher the grind value, the bigger the bonus. Basically, you’re aiming for fodder that matches the same weapon category and rarity as the Base weapon. You can achieve either a [Success] or [Great Success] during the grinding process. Receiving a [Great Success] contributes an even higher Grind EXP. You can use the following support items to increase the chances for a Great Success to occur. 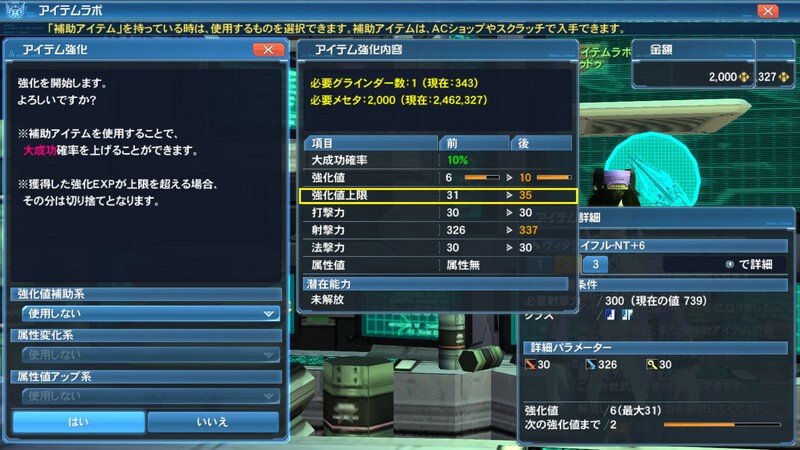 Players can select a potential upon the weapon reaching a +10 grind. This potential can be leveled up further once the weapon reaches a grind value of +20 and +30. Since the grinds will cap at [+10/+20/+30], please be sure not to contribute too much [Grind EXP], as it will be wasted until the potential level is raised. One of the following items may be required for unlocking a potential. Hover over link for the locations on obtaining the item. It’s imperative to know the grind cap on your weapon. Grind Caps represent the MAXIMUM grind your weapon can currently achieve. 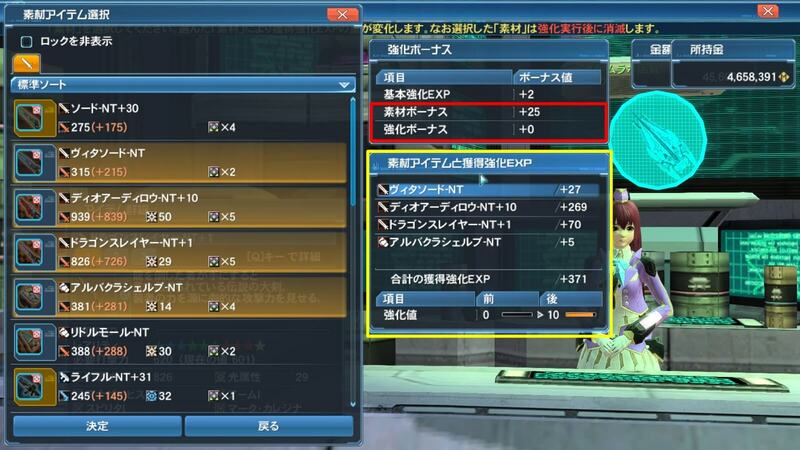 The weapon’s grind cap is indicated by the red box in the screenshot above. The yellow box here is showing the new grind cap for the weapon. Acquire weapons that share the same name and rarity as the base weapon. 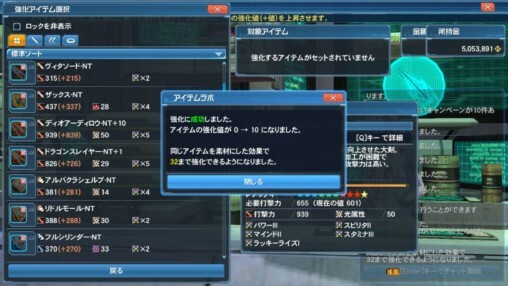 Each weapon, when used as fodder, will raise the grind cap by 1 ~ 5. Weapons of ★13 rarity will drop with a randomized grind cap of +31 ~ +34. Weapons of ★13 rarity from [Collection Files] contain a grind cap of +30. Weapons of ★14 rarity will drop with a grind cap of +35. Weapons of ★14 rarity will from Crest Exchange will be a grind cap of +30. 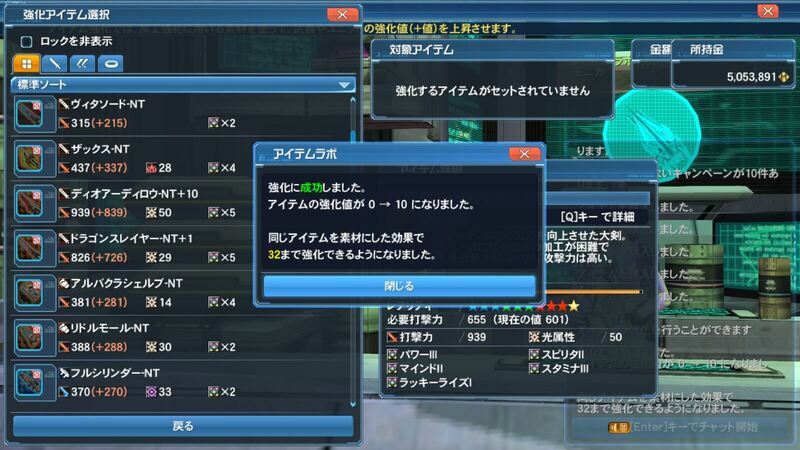 ★13 weapons that drop directly from the quest, will acquire a random grind cap of [+31] ~ [+34]. 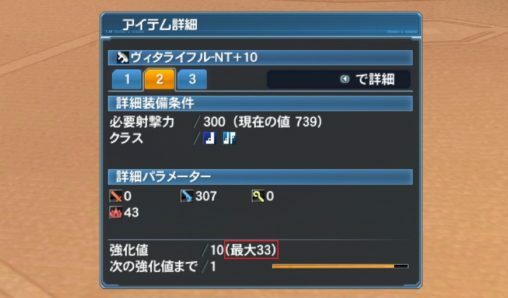 Using this weapon as fodder will add [+2~5] and [the value of the grind cap] to the base weapon. Weapons with grind caps of [+31 ~ +34] will add [+1~5] and [the value of the grind cap] to the base weapon. [+30 Cap] + [+31 Cap] = (+2 Cap) = +32 Grind Cap. Obtaining the [Grind Cap +1] item raises the cap on the weapon by 1. These can be found in the Battle Arena Scratch or the Recycle Shop. 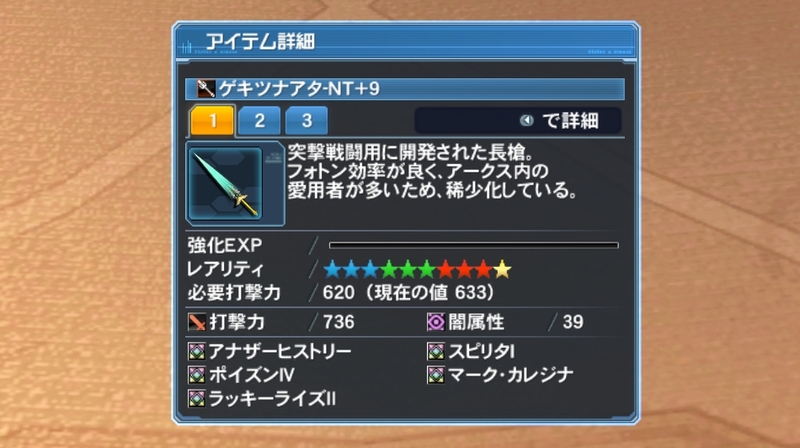 You can raise the elemental values of NT weapons by contributing fodder weapons that share the same category and rarity as the base weapon. Elemental grinding is done through the same menu in which you grind your weapon. 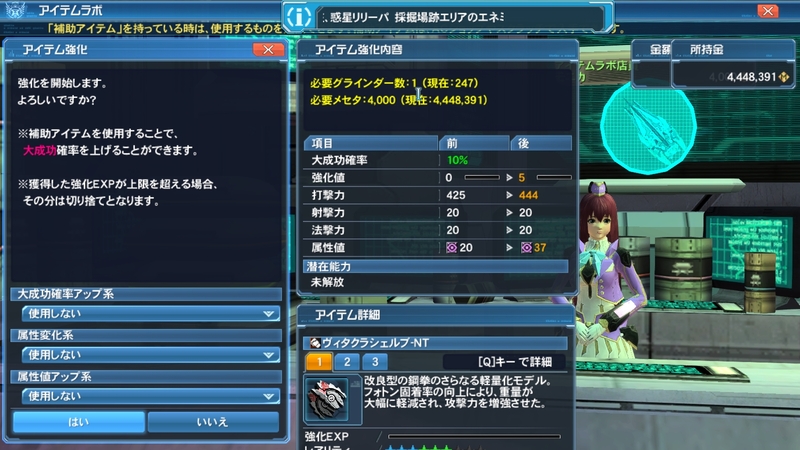 Note that Emper Embrace affix does increase the grind bonus by 90 when a weapon with it is used as a fodder. You try attribute grind via the grinding menu right? Is the weapon of the same type as the HFB kamaitachi? Will grind skip to 7 work with NT? I already got NT*13 +35 but i cant get the title for raising my lv cap. what happen?? its because im buying the *13 from shop?? yes, i am buying the *13 weapon, not from drop… is that it?? Did you ever find out what happened? I believe you needed to be the same class that achieved the title for the 21 Class Cubes and equip it. I figured it out. It needs to be a weapon registered to you from those drops, so you may need to erase the owner registration and reequip the weapon native to that class when you’re at Max Level.